Dr. Nishant Singla: There is no secret, everybody is well worsed with the scenario of pg entrance examination coaching. If someone knows the secret, then it’s surely Dr. Sumer Sethi Sir. Dr. Nishant Singla: They are the pillars of the society. Luckily, by god’s grace I got loads of friends who themselves are bigger toppers than myself. Dr. Nishant Singla: My DAD. Dr. Nishant Singla: The answer to every question can be found in a book named “ROBBINS “. Rest other books name everybody knows. 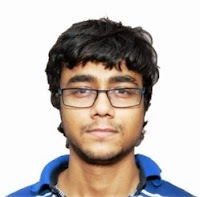 Dr. Nishant Singla: I haven’t started with my revision yet, but will be doing MK and AA, for it (for other exams). Dr. Nishant Singla: DAMS told me what to study and what not to. So it’s very important. Dr. Nishant Singla: Wide, extensive. No doubt about it. Dr. Nishant Singla: Giving every exam that is fairly conducted by our country is mandatory for every student. Dr. Nishant Singla: All 19 subjects are equally important. Dr. Nishant Singla: All questions to be attempted when there is no negative marking. Dr. Nishant Singla: Interventional radiology. Its an upcoming field and somehow it fascinates me. Dr. Nishant Singla: Dr. Sumer Sethi, Medicine sir & Surgery sir. The three diamonds DAMS has. Everybody should join DAMS. THEY TEACH PRETTY RELEVANT STUFF PLUS THEY GIVE YOU THE EDGE.